Bootcamp attendees who appeared in the video above: Bob Baker, D.J. Deweese, Kevin "Kid Kazooey" MacDowell, Natalie Gelman, RyLee Madison, Kim Gammon, Charlie Cheney, Clark Colborn, Jeanine Guidry, Peter Wilner, Mari Rosa, Nick Daugherty, Liam Sumnicht, Marc Rosen, and Pooki. "What an incredible force you just set in motion through this fabulous event! After we left, Fett and I were up talking until 2 AM Sunday night! We were so floored by all of the presentations and were so pumped up! You indeed changed many, many lives this past weekend ... including ours. We can't thank you enough for including us!" "I left the Bootcamp thinking I'd be overwhelmed, like I wouldn't know what to do first. But I've never been more focused on a task. Thank you so much. This weekend inspired me in a way I can't put into words." One of the best events ever! "That was one of the best events I've ever attended. Next time you do it, I'll whole-heartedly tell every artist I know they need to be there. My only critique: Let's see more of Bob Baker next time!" "It was awesome being a part of such a great event. Bob and Pooki, you really outdid yourselves! Thank you for making me a part of it. I was honored to share the stage with so many knowledgeable and cool people! I learned a TON!" 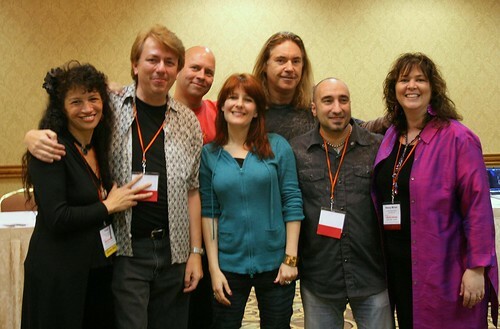 Derek Sivers, Ariel Hyatt, Tom Jackson, John Taglieri, Nancy Moran, and yours truly made up the 2008 Indie Buzz Bootcamp speaker lineup. What a powerful combination of wit and wisdom! 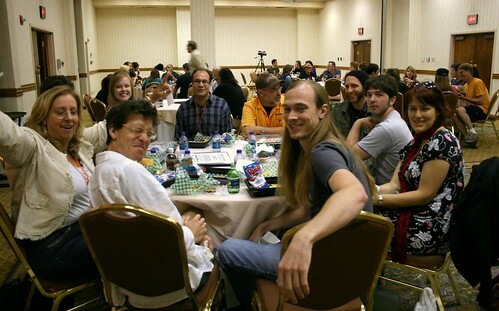 Matthew Stephen, Kama Dewerth, Shawn Madden, Jon Heisserer, Lee Mueller, Tiffany Hendren, Nick Daugherty, and Erica Dewerth were among the core group of volunteers and support staff that made the Indie Buzz Bootcamp possible. 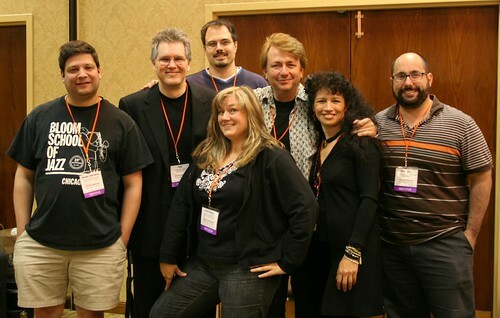 Randy Chertkow, Fett, Jason Feehan, Julie Blake, and Ben Lazar served as music biz mentors at the Bootcamp. a member of the Indie Buzz Bootcamp family? Get on the list! Just enter your name and email address and click Submit. We'll send you details on the next Bootcamp as soon as details are available. The room was buzzing during the Sunday networking lunch at the Indie Buzz Bootcamp. 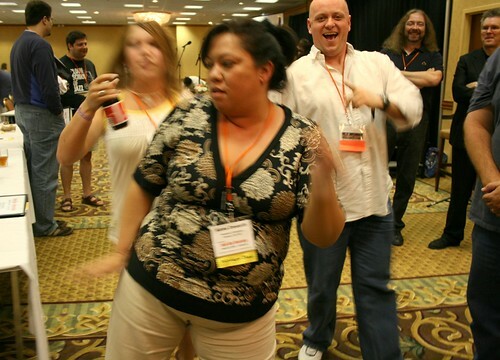 Shawn Madden (who ran sound the entire Bootcamp weekend) cracks up as Pooki's sister Kama dances during the final hours of the event. CD Baby founder Derek Sivers delivered 90 minutes of timeless music career success wisdom. 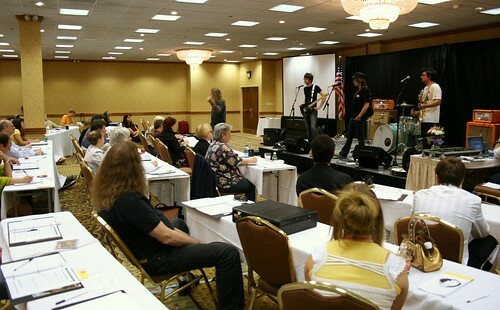 "After 38 years in this business on all sides of the microphone, I in one weekend learned a lifetime of processes that will change my approach in all areas of our record label business. Thanks for a life-changing and extraordinary weekend!" "This had to have been one of the best events I've attended yet. Loved the forced networking -- I think that was your magic right there. Your speakers were top shelf too. I've already started on a few things I learned, including joining Twitter! Count me in when you do this again." -RyLee Madison, singer-songwriter and host of "Behind the Song Cafe"
"Randy and I just wanted to say how much we enjoyed the Bootcamp. We had a terrific time, learned a lot, and loved meeting everyone. You both did a phenomenal job and pulled off an amazing and memorable conference!" 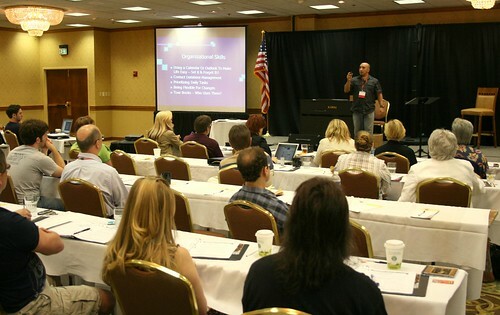 Full-time indie artist John Taglieri gives the Bootcamp audience a big dose of his entrepreneurial attitude and work ethic. Tom Jackson amazes a roomful of musicians when he transforms the band Building Rome's stage show right before their eyes. 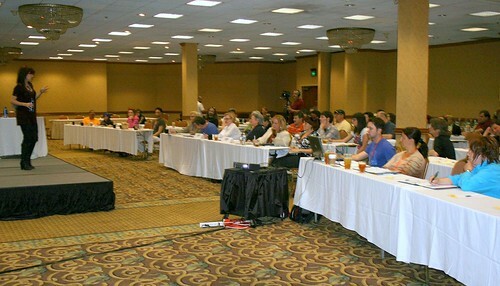 Ariel Hyatt delivers an info-packed session on Web marketing and social networking for musicians. "Because of your and Pooki's tireless devotion to your mission, a room full of hungry artists, writers, producers, and performers now have cutting-edge tools to build successful careers with more prowess and sophistication than ever before -- no record label required! I now have a clear picture in my head and a roadmap in my hand of where to go and how to get there! Yes, the material was great, and the speakers were second-to-none, but the one thing that stands out among everything else is your heart and dedication to helping us succeed. Thank you for being who you are." "Thanks for having me at your event! I met a lot of great people there! You know, I teach at a lot of music conferences -- some good, some bad, some ugly. But the teachers at your event I thought were the most insightful, sharp, talented speakers I've seen. And on top of that, they were really nice people." "Thank you so much for pouring everything into creating such an exceptional event. I personally came away changed and in awe of the impact that you and all the speakers had on everyone. I was amazed at how conscious the artists were of giving instead of just taking. This shift in perspective is a miracle in my eyes. You can count me in next time!" 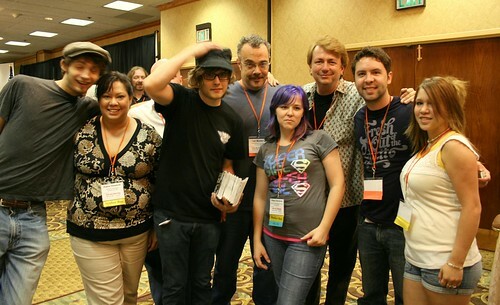 Members of the rock band Building Rome relax after being Tom Jackson's guinea pigs at the Indie Buzz Bootcamp. 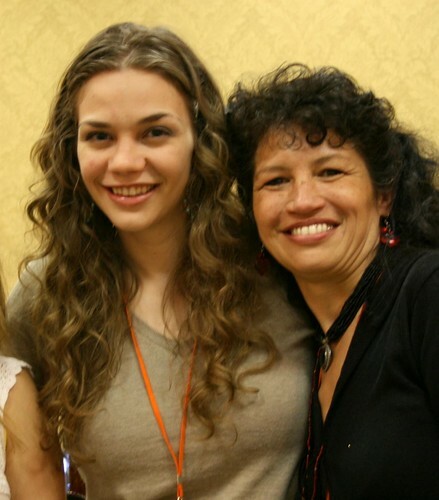 NYC singer-songwriter Natalie Gelman (left) wowed the Bootcamp crowd with her voice during the Saturday night Behind the Song Cafe. On the right, of course, is the Queen Bee herself, Pooki. 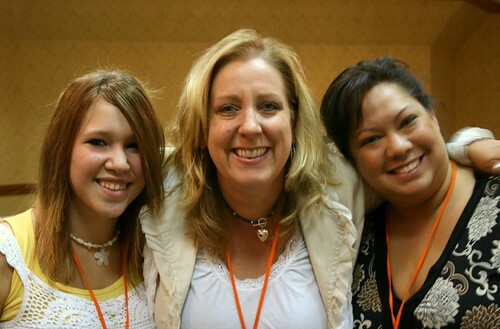 Kim Gammon (center) poses with Pooki's sister Kama Dewerth (right) and Kama's daughter Erica. The entire weekend was amazing! "Jon and I talked non-stop about the Bootcamp after we left Sunday night and finally went to bed around 2 AM. The entire weekend was amazing. I've never been to any event in ANY industry where I had the kind of access to the speakers and mentors that we were granted this weekend. And I didn't feel like I was wasting their time. They genuinely wanted to speak to us. "Another great thing about the Bootcamp was the energy in the room. And the speed networking was a brilliant idea. Everyone felt like they knew everyone on the first day, which is so rare. And after getting to know them, I really WANT to keep in touch with these people! It definitely fostered a sense of community." "Thanks again for putting on such a great event. 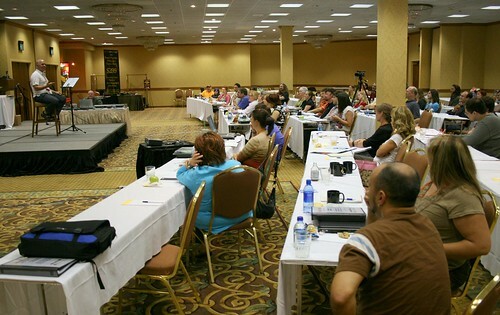 It was informative, fun, and most importantly, life changing!" "I left the Indie Buzz Bootcamp feeling motivated and inspired to take my musical career to the next level, and to consider the ways I can share my gifts with others along the way. You rock!" It was a truly amazing experience. Words can't describe the excitement and exhilaration that only those of us who were there will ever know. Now we're going to catch our breath and figure out the best time and way to do it again. Will you join us then? I sure hope so.